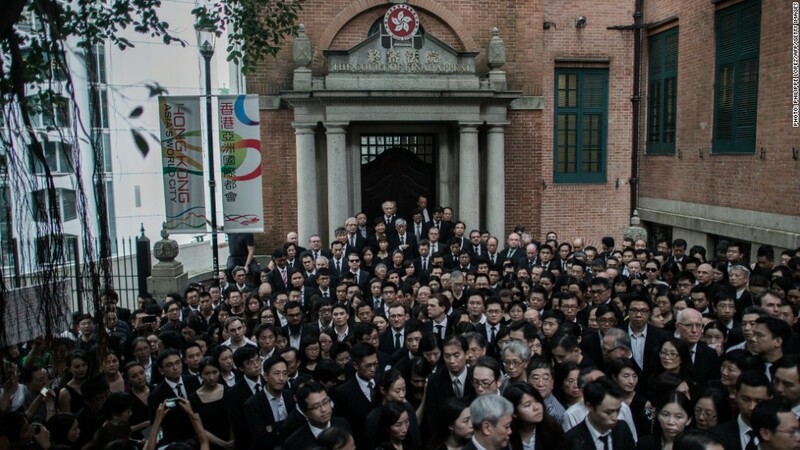 Black-clad lawyers gather at Hong Kong's Court of Final Appeal to protest Beijing's influence. Activists in Hong Kong are gearing up to challenge Beijing over political freedom in Asia's premier financial center with a series of protests starting Tuesday. 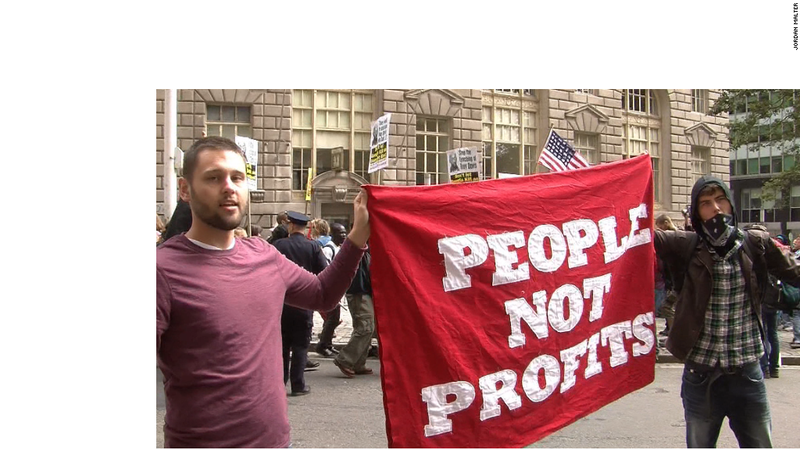 The pro-democracy protests, which recall the Occupy Wall Street movement in New York, have divided the powerful business community. Some worry that they could deter investors. Tuesday's march to the city's business district takes place on the 17th anniversary of Hong Kong's handover from British to Chinese rule, and could attract hundreds of thousands of protesters. Political and economic tensions in the territory have been rising recently, fanned by Beijing's release of a controversial white paper asserting its control. City activists accuse China of reneging on its "one country, two systems" pledge that was a condition of Hong Kong's return in 1997. Hong Kong enjoys a high level of economic autonomy, but Beijing's critics say it is encroaching on judicial and political freedoms. On Friday, 1,800 of the city's lawyers, dressed in black, marched in protest. Bigger flash points are likely over the next few months before a decision over how Hong Kong will elect its next chief executive, the city's highest office. Pro-democracy activists want Hong Kong residents to elect the chief executive directly. Beijing is said to favor a process that would allow it to screen candidates. The most visible pro-democracy group -- Occupy Central With Love and Peace -- conducted an unofficial election of its own this month, drawing nearly 790,000 voters, or almost a quarter of the electorate. The group is also planning a demonstration and other acts of civil disobedience designed to snarl traffic and disrupt operations in the central business district. Although they share a moniker, Hong Kong's "Occupy" supporters are not affiliated with the protest movement that got its start in Manhattan's Zuccotti Park. The groups share concerns over rising income inequality, but the Hong Kong group's immediate goal is to secure full voting rights. "Hong Kong people really want to show to China, to the whole world, that we are determined to have full democracy," organizer Benny Tai told CNN on Monday. The group's plan to "occupy Central" has set many in the city's establishment on edge. Hong Kong affiliates of the big four accounting firms -- Deloitte, Ernst & Young, PricewaterhouseCoopers and KPMG -- placed an advertisement in local newspapers last week, trumpeting their opposition to the movement. "We are concerned that Occupy Central will have a negative effect on the rule of law, social order and the economy of Hong Kong," they said in the ad. "We worry that this would cause international and local investors to relocate their Hong Kong's headquarters or even relocate their businesses." The highly unusual public intervention by multinational companies in local politics drew widespread criticism. The Financial Times reported that the firms' head offices were not made aware of the plan prior to publication. Paul Gillis, a professor at Peking University's Guanghua School of Management, wrote on his blog that the "arrogance of the firms is stunning" and the decision would diminish their brand value. Some employees of the accounting firms shot back Monday -- taking out an ad of their own in support of Occupy Central.